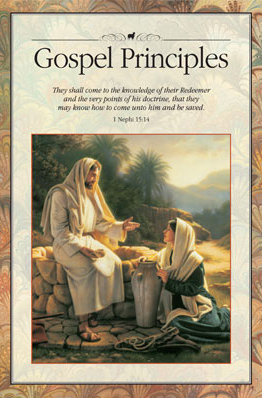 Beginning February 2, 2015, Viewpoint on Mormonism will feature a chapter-by-chapter analysis of the 2009 LDS Church manual Gospel Principles. Included in this page are 99 of the best quotes from this 47-chapter manual, ordered by topics. In addition, we have compiled overviews of each chapter in this manual. Each chapter is summarized in about 50 words along with a “quotable quote” or two. This PDF file would be fun to check out during our two-month radio series on this manual, available for an electronic gift of any size during the months of February and March 2015. The following are some notable changes between editions of Gospel Principles. The editions published are as follows: 1978, 1979, 1981, 1985, 1986, 1988, 1992, 1995, 1997, and 2009. Underlined text marks something as new. Not all changes have been compiled, but only what seemed at least moderately notable. The most salient changes are marked in yellow. We recommend taking a special look at the changes made in 2009 to chapter 47.